Now that the Lin-Z Smart Speaker is no longer a game breaker for The Sims 4 we can finally dive deeper into the hidden features that this object has to offer! 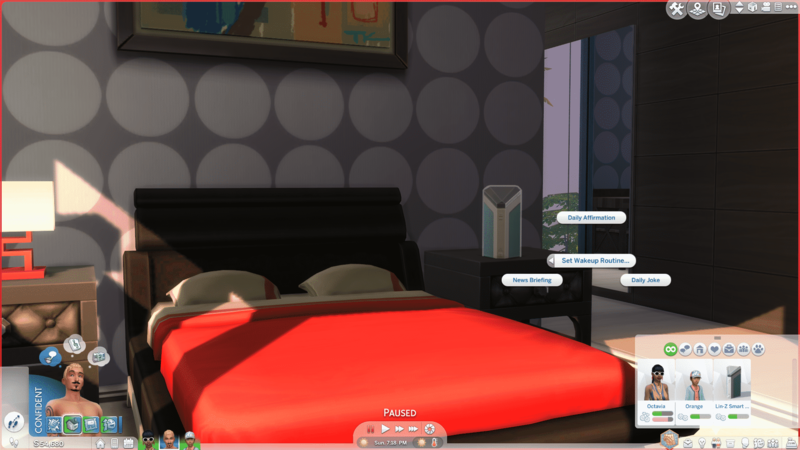 Sure, it’s fun to fill your Social Need moodlet bar by just talking to a piece scraps but there’s more than it meets the eye..
By constantly socializing with your Smart Speaker your Sim will be able to build an actual relationship with the speaker. You’ll be able to keep track of your relationship progress in the Relationships Panel or by simply hovering over the Lin-Z Smart Speaker. 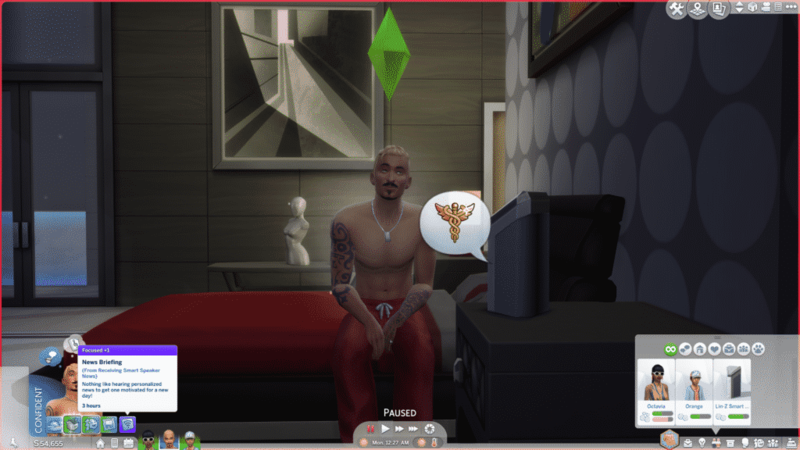 While still being acquintances with the Smart Speaker your Sims won’t be able to achieve a lot by ordering the speaker to do certain interactions considering that the first few relationship points means that the speaker will have a mind of its own. Telling the speaker to order a pizza or play music won’t always bring the outcome that you’re looking for, but that can thankfully be improved by constantly socializing with the speaker. The interaction that I found to be the most effective is “Order…”. Whether you’re ordering a Pizza, a Repairman or a Maid, the relationship points will almost certainly skyrocket and you’ll become friends with this piece of technology in no time. 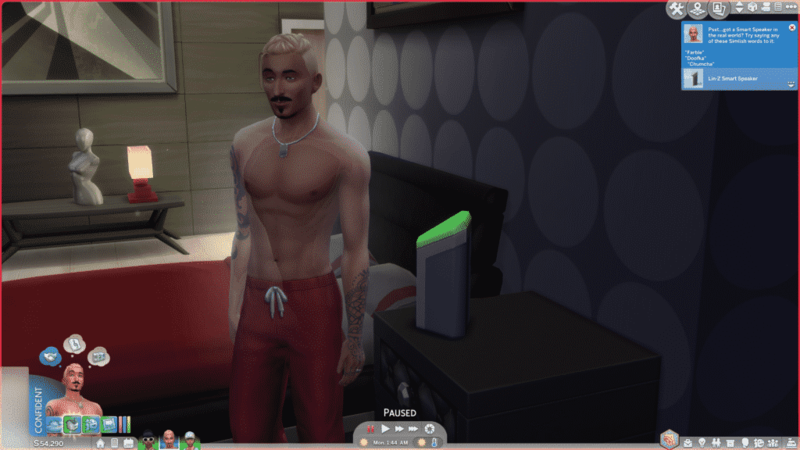 While having The Sims Skill opened you’ll immediately unlock the hidden Simlish word. There are plenty of other Simlish words that you can uncover by just talking to Alexa! So it’s not just a glorified radio? Good to know! I can actually see myself getting one of these in the game, now, instead of just shrugging and deciding that it’s not for me and moving on.